Tag Archives: World Poetry Directors and Advisors. 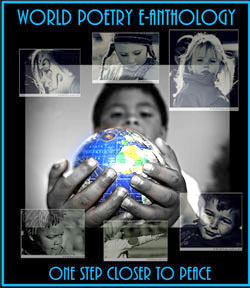 Join Our Second Annual World Poetry 24 Hour Peaceathon! 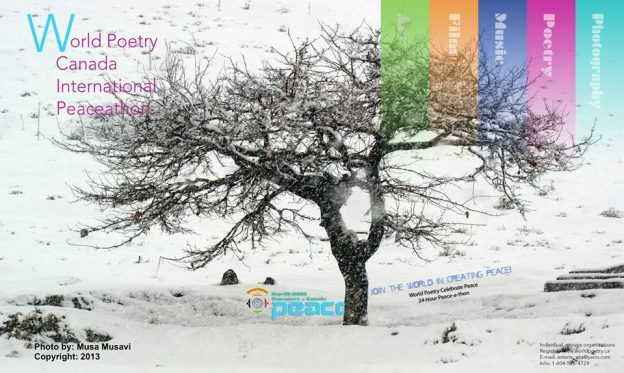 Join World Poetry Canada International 24 Hour Peaceathon, Peace in Action now! September 21st, 2016 World Peace Day! Musical events, readings, dance, films, art and more. URGENT ! Please fill out the partnership form below even for an individual event. This entry was posted in General, Ongoing World Poetry Events and tagged International Peace Award Ariadne Sawyer, World Poetry Cafe Radio Show, World Poetry Canada & International, World Poetry Directors and Advisors., World Poetry Peaceathon on July 22, 2016 by Ariadne.